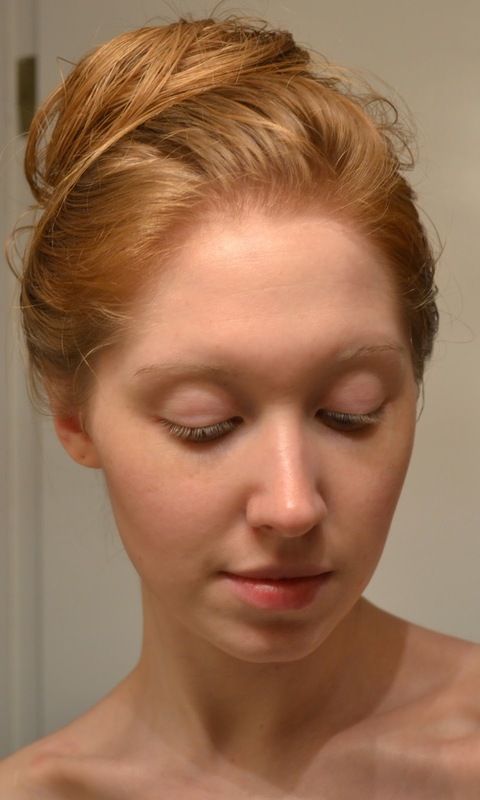 Today I wanted to tell you all about a great company I just discovered at Sephora. The brand is called Farmacy and it brings the whole idea of farm-to-table right into your skincare routine. As I have mentioned in a past blog, I have been a vegetarian/vegan for the past 11 years. Having a clean and healthy diet is so important to me and I try to reflect those lifestyle choices into my beauty routine as well. 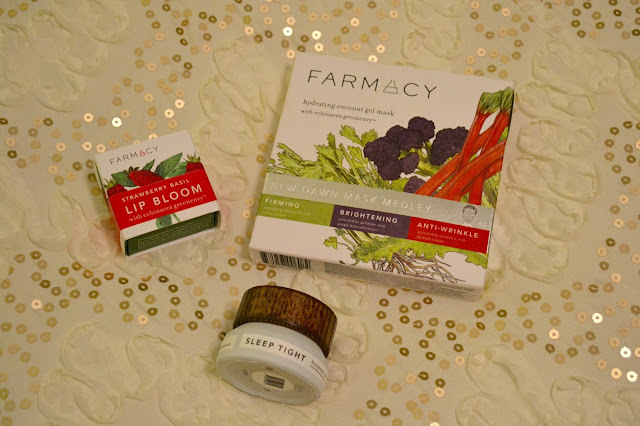 In learning about the Farmacy brand, I loved the whole concept of taking the wonderful nutrients found in food and using them to benefit your skin. Started in Upstate New York, Farmacy is a brand that goes by the slogan, Farmer Cultivated, Scientist Activated. What an ingenious concept! What makes the band so unique is the powerful Echinacia GreenEnvy that is found in every single one of their products. This rare flower was discovered by the co-founder Mark Veeder at his home in upstate New York a few years ago. He shortly discovered all of the powerful benefits that this little flower had to offer particularly for the skin. Aside form the GreenEnvy echinacea found in the products, produce such as kale, carrots, rhubarb, and broccoli are incorporated into the line as well. I decided to try a few of these products out for myself. 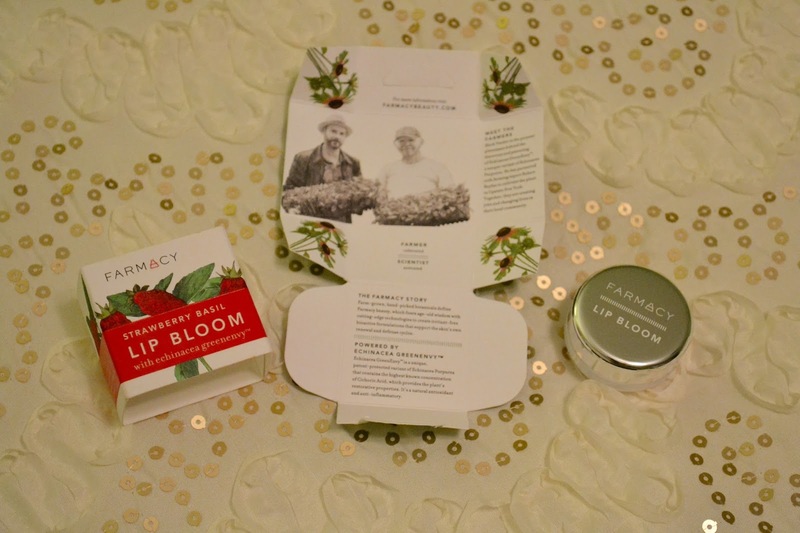 Inside the lip bloom box there is a little background on the company, a very clever use of space. In being "The Strawberry Blond" I just had to try out the strawberry basil scent ;) Such a light and hydrating consistency and the smell was so intoxicating! I also purchased the New Dawn Mask Medley. These gel masks are made with hydrating coconut gel and are infused with different veggies to provide various benefits for the skin. I chose to do the brightening mask which had purple broccoli in it. The purple broccoli works as an anti-inflammatory agent and helps to brighten the skins complexion. The thin silk mask felt nice and cool on my face and smelt so yummy. I left it on for 20 minutes and let it work its magic. The mask really helped to even out my skin's complexion and my face felt so plump and hydrated once I took the mask off. I followed up by apply the Sleep Tight Night Balm to my face. 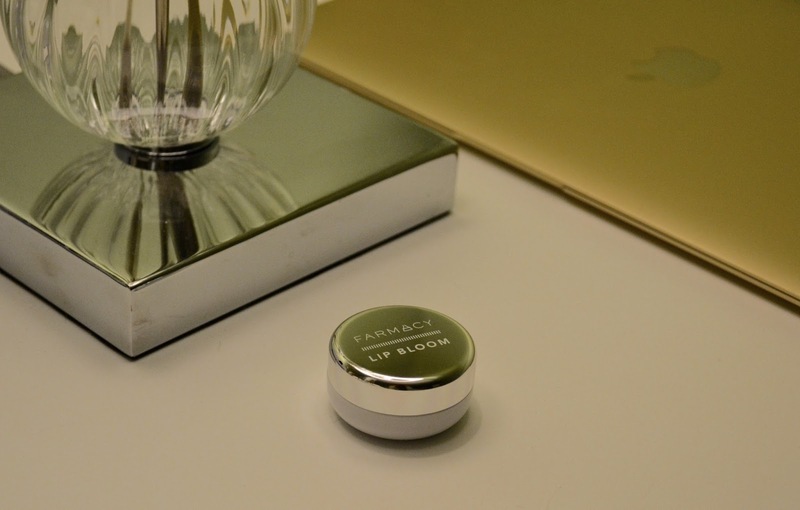 It starts off as a solid balm but once I warmed it up between my fingers, it took on more of an oil consistently and smoothed out nice and evenly over my skin. I finished things off by applying the Lip Bloom to my lips and off to bed I went. I hope you all enjoyed this post! I love being able to share new and exciting products that are not only good for the planet but good for you as well. 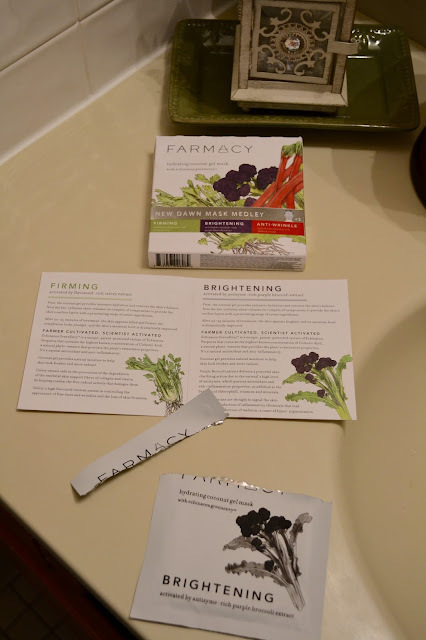 Let me know in the comments below if you would like me to review any more Farmacy products. *This is not a sponsored post. All of my thoughts and opinions are my own.